*Actual On Road Price of Indian Roadmaster at the dealership may vary. 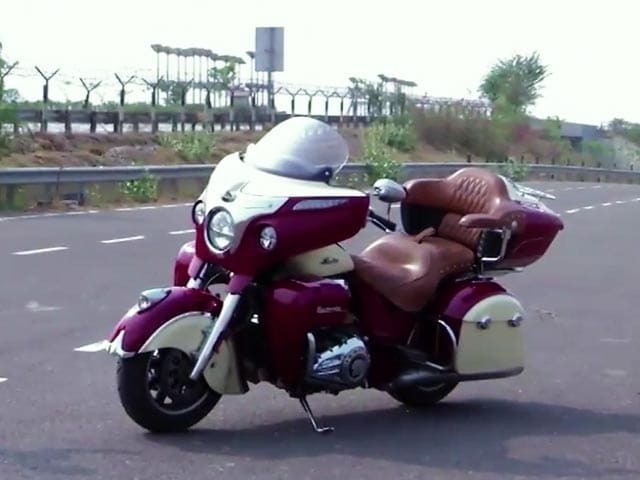 The Roadmaster is the more modern of the lot of Indian motorcycles. It is a faired cruiser and comes with modern comforts like tyre pressure monitors, LED lights, Electronically adjustable visor and adjustable floorboards. It's luxury on two wheels as there are 10 individual settings for the rider as well as the pillion for the heated leather seats. The Roadmaster is powered by the same 111 cubic inch or 1811cc 'Thunder-Stroke' V-twin engine which is also used in the Chief Classic, Chief Vintage and the Chieftain and is available in thunder black, Indian Motorcycle red and a two-tone Indian Motorcycle red/ivory cream paint schemes. Only one unit of the 2018 Indian Roadmaster Elite limited edition motorcycle comes to the country with gold plating and a custom paint job. Indian Motorcycles is all set to launch the 2018 Roadmaster Elite touring bike in India today and we'll be bringing you all the live updates from the launch event here. The 2018 Indian Roadmaster Elite touring motorcycle is all set to go on sale in India today. Here's everything else you need to know about the new Indian Roadmaster Elite.